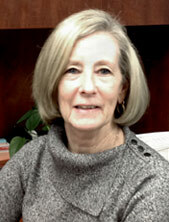 Since joining the firm in 2009 Jeanne has become an integral part of our Accounting team. Jeanne is currently responsible for the day to day operations of the firm, an assistant to the accountants in tax preparation, billing, invoices and the general operation of the office. Jeanne's extensive background in data entry helps us update and maintain clients Quickbook files on a monthly, quarterly and yearly basis. Jeanne is also responsible for the scanning and tracking of all tax returns for the firm. Jeanne provides a courteous and friendly response to all of our clients that phone or visit our office. Jeanne resides in Exton, PA with her family.